Luxury urban living at its finest! Imagine a hassle-free lifestyle in this pristine condo at the desirable Montgomery Plaza. This unit lives much larger than its square footage. 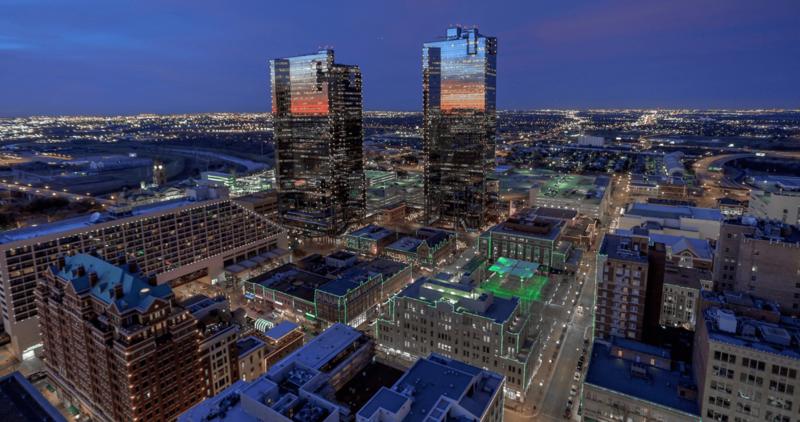 Situated in the heart of Fort Worth's cultural district; dining, entertainment and the Trinity Trails are within walking distance and just minutes from downtown and freeways. Spectacular sunset views fills the open space through the industrial style wall of windows. A clean design kitchen provides ample counter-cabinet space with a workstation and stainless steel appliances. Bedroom has sliding barn doors paired with modern design elements including updated sleek cork flooring. 24 hour security, secure parking and the very best amenities.